The European Parliament’s justice committee voted on Monday (29 January) in favour of launching the “nuclear option” against Poland. PiS chairman Jarosław Kaczyński insisted that Poland might only face “some impediments, inconveniences.” EURACTIV Poland reports. The resolution adopted on Monday by the Civil Liberties, Justice and Home Affairs (LIBE) Committee will be put to vote at one of the Parliament’s upcoming plenary sessions. In the vote on the resolution, which calls on the Commission to launch Article 7, 33 MEPs were in favour and nine against. Just before the vote, Polish conservative MEP Marek Jurek submitted a formal request demanding that the vote be scrapped and the resolution withdrawn, make it possible to consult the coordinators of the political groups. “I want to express my conviction that it is unnecessary to divide Europe. As this motion by the Commission has already been submitted, which I consider to be deeply unfortunate, it will have its formal procedural course in any case,” said the MEP. The procedure initiated from Article 7 may ultimately result in imposing the most severe penalty the EU has at its disposal vis-à-vis the member states, including among other things the suspension of voting rights in the Council. This would apply to representatives of all levels of the country involved in making Community decisions (prime minister, ministers and diplomats). The Committee prepared a resolution supporting the Commission’s decision to launch Article 7 because – as the institution argues – “the EU members should quickly take a position on the risk of Poland’s serious misappropriation of the values of the European Union”. According to the press service of the EP, the LIBE Committee also calls on the European Council to “take swift action in line with the provisions of Article 7, Paragraph 1 of the Treaty”, calling on the Commission and the Council “to inform the Parliament fully and regularly about the progress made and the actions taken at every stage of the procedure”. The Commission asked member states to initiate the so-called “atomic option” already last December. 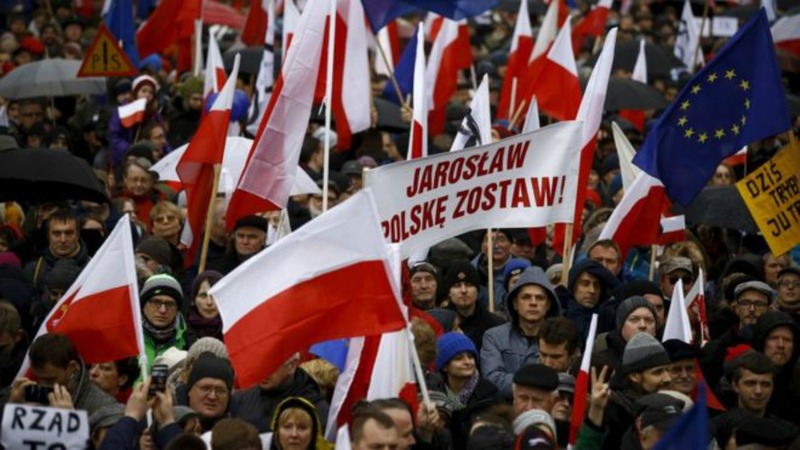 At the same time, it gave the Polish government three months to introduce recommendations on the rule of law. Because Article 7, point 3, says that the Council “may decide to suspend certain rights arising from the application of the Treaties for that member state, including the right to vote of a representative of the government of that member state in the Council”, this may also mean a significant reduction in the inflow of EU funds. Experts have interpreted the phrase “certain rights” as access to money from the EU budget (which Poland currently uses the most). For this, however, a unanimous decision of the Council is necessary. Meanwhile, Hungary has repeatedly assured that if such a situation should occur, they would not agree to punish Poland. 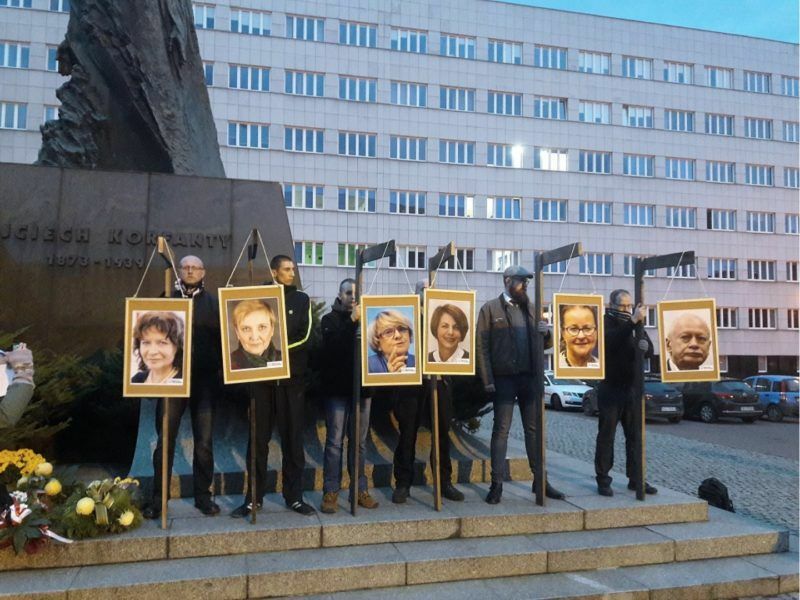 Poland’s right-wing government said yesterday (25 January) it had no tolerance for neo-fascism, after opposition lawmakers charged that its nationalist, eurosceptic focus was helping to reinvigorate the far right. In order to ease the situation at the start of January, Polish Prime Minister Mateusz Morawiecki came to Brussels, where he talked with the Commission President Jean-Claude Juncker. Both then agreed to a follow-up meeting in order to – as they wrote in a joint statement – continue the discussion, which is supposed to “bring progress until the end of February”. Meanwhile, PiS chairman Kaczyński believes that “in a black scenario”, Poland could in the worst case expect “some impediments, inconveniences” from the EU side. However, in his opinion, the “optimistic scenario, according to which we are actually in no danger,” is equally or even more likely. “If someone enters a new society in which everyone is already caught together and divided by influences, then he will face resistance. This applies to ordinary life and to international politics,” the PiS chairman explained in an interview for the Polish weekly newspaper “Gazeta Polska “. 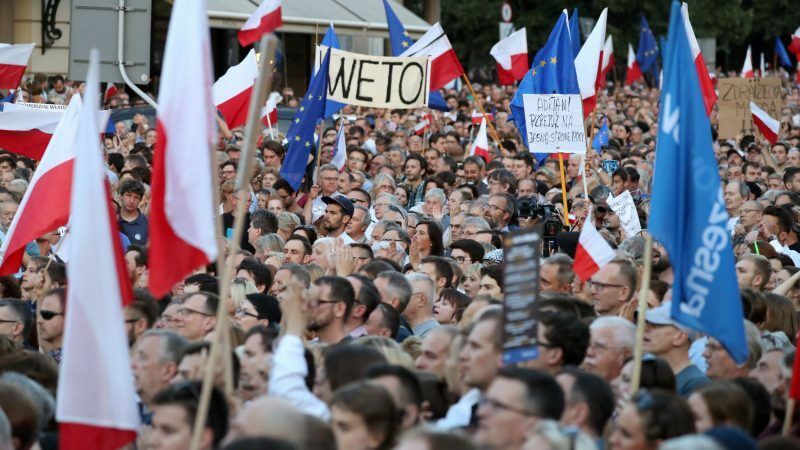 Kaczyński also recalled the opinions of experts, some of whom say the EU has gone too far in Poland’s case and will now retreat, while others say that Warsaw cannot count on it. “In any case, we must defend our sovereignty, our dignity, and above all our interests. Especially those related to the economic development of our country,” stressed the leader of the ruling party. He also pointed out that no “external centre” would help Poland leave “the economic periphery of Europe”. “If we want to achieve success and enter the core of the EU, have a comparable GDP with Germany, then we must be aware that others will block us in our way,” Kaczyński warned.